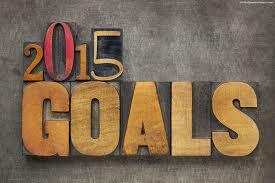 Nailing Your Goals in 2015; Do You Have a Plan? We are down to the wire as 2014 comes to a close. When it comes to nailing your goals in 2015, do you have a plan? You need a plan! If you don't have one, now is the time to do that. Every year at this time, I like to write about the goal setting process and about how critical it is to your success. Think about it this way; you wouldn't just show up on a college campus, forget to choose your classes and still think you would complete a year of college study would you? No way! You would need a plan for getting everything done. Pay your tuition, fees etc. Attend classes and do the work etc. Just about anything we do in this life requires planning, and building a successful business is no exception. I have a two part post that I wrote last year on the process of setting and achieving your goals that is still as relevant today as when I wrote it 12 months ago. As you finish out this year, I would encourage you to do a review of what worked and what didn't work. From there, create a plan for achieving both your personal and professional goals in 2015. Have a great holiday season! Wishing you much success in 2015.